Shree Balaji Wind in Warashiya, Vadodara by Shree Balaji Group Ahmedabad is a residential project. 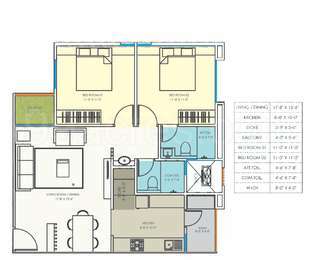 The size of the Apartment is 860 sq.ft. Shree Balaji Wind price ranges from Rs. 4.44 Lacs to Rs. 7.25 Lacs. It is an under construction project with possession offered in Dec 2021. You can find Shree Balaji Wind price list on 99acres.com. Shree Balaji Wind brochure is also available for easy reference. Vadodara has a number of infrastructure developments taking place and hence the real estate market is on an upswing. The presence of various commercial industries in the city is the sole reason of generating a number of jobs and attracting workforce. This has a good impact on the realty market. The residential real estate of the city has a mix of luxury, mid-segment and affordable housing units. Where is Shree Balaji Wind located? The project is located in Warashiya, Vadodara. What is the area of apartments in Shree Balaji Wind? The area of apartments offered in the project ranges from 1171.0 sqft to 2796.0 sqft. What is the 2 bedroom size in Shree Balaji Wind? 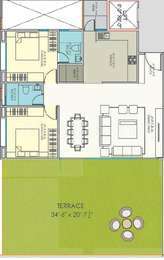 2 BHK units in the project are available in a size of 1171.0 sqft to 1451.0 sqft. What is total area of 3 bhk in Shree Balaji Wind? 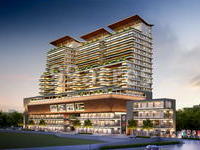 3 BHK units in the project are available in a size of 1910.0 sqft to 2796.0 sqft. What is total size of Shree Balaji Wind?The project is built over an area of 3.18 Acres. When is the expected completion date of Shree Balaji Wind?The project completion timeline has been set at Dec 2021. Concealed FR copper wiring and all electrical fixtures of ISI quality. Shockproof protection with latest ELCV/MCB in each unit. Shree Balaji Group is a leading real estate developer in Gujarat. 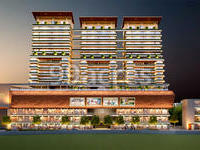 With its futuristic designs and dynamic approach, the group has contributed in reshaping of Ahmedabad. 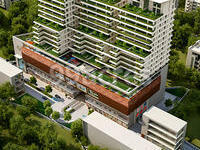 Its portfolio encompasses upscale affordable apartments, modern villas and a shopping mall. While most of its projects are situated in Ahmedabad, the group has also extended its operations in Rajkot, Vadodara and Mehsana. The group emphasizes on world-class architecture, top-notch execution and excellent after sales service.